Title 14 of the CFR part 91 has established right-of-way rules, minimum safe altitudes, and VFR cruising altitudes to enhance flight safety. The pilot can contribute to collision avoidance by being alert and scanning for other aircraft. 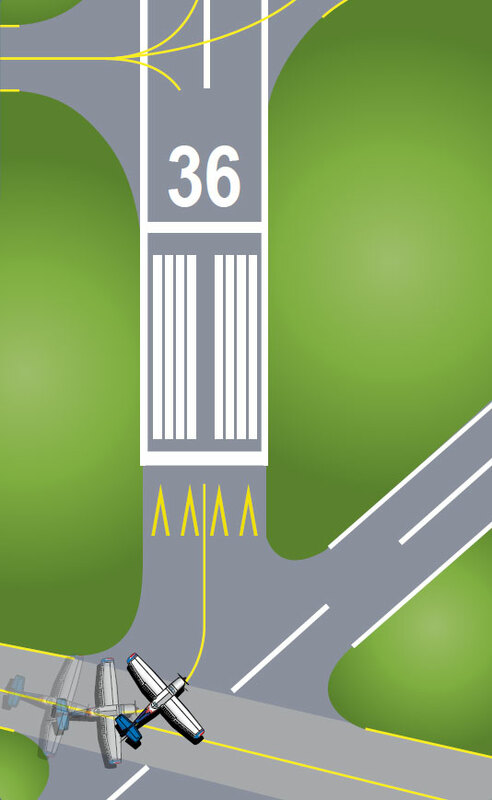 This is particularly important in the vicinity of an airport. Before takeoff—prior to taxiing onto a runway or landing area in preparation for takeoff, pilots should scan the approach area for possible landing traffic, executing appropriate maneuvers to provide a clear view of the approach areas. Climbs and descents—during climbs and descents in flight conditions that permit visual detection of other traffic, pilots should execute gentle banks left and right at a frequency that permits continuous visual scanning of the airspace. Straight and level—during sustained periods of straight-and-level flight, a pilot should execute appropriate clearing procedures at periodic intervals. Traffic patterns—entries into traffic patterns while descending should be avoided. Traffic at VOR sites—due to converging traffic, sustained vigilance should be maintained in the vicinity of VORs and intersections. Training operations—vigilance should be maintained and clearing turns should be made prior to a practice maneuver. During instruction, the pilot should be asked to verbalize the clearing procedures (call out “clear left, right, above, and below”). High-wing and low-wing aircraft have their respective blind spots. The pilot of a high-wing aircraft should momentarily raise the wing in the direction of the intended turn and look for traffic prior to commencing the turn. The pilot of a low-wing aircraft should momentarily lower the wing and look for traffic prior to commencing the turn. A pilot deviation (PD) is an action of a pilot that violates any Federal Aviation Regulation. While PDs should be avoided, the regulations do authorize deviations from a clearance in response to a traffic alert and collision avoidance system resolution advisory. You must notify ATC as soon as possible following a deviation. Pilot deviations can occur in several different ways. Airborne deviations result when a pilot strays from an assigned heading or altitude or from an instrument procedure, or if the pilot penetrates controlled or restricted airspace without ATC clearance. Plan each flight—you may have flown the flight many times before but conditions and situations can change rapidly, such as in the case of a pop-up temporary flight restriction (TFR). Take a few minutes prior to each flight to plan accordingly. Talk and squawk—Proper communication with ATC has its benefits. Flight following often makes the controller’s job easier because they can better integrate VFR and IFR traffic. Give yourself some room—GPS is usually more precise than ATC radar. Using your GPS to fly up to and along the line of the airspace you are trying to avoid could result in a pilot deviation because ATC radar may show you within the restricted airspace. Ground deviations (also called surface deviations) include taxiing, taking off, or landing without clearance, deviating from an assigned taxi route, or failing to hold short of an assigned clearance limit. To prevent ground deviations, stay alert during ground operations. Pilot deviations can and frequently do occur on the ground. Many strategies and tactics pilots use to avoid airborne deviations also work on the ground. Pilots should also remain vigilant about vehicle/pedestrian deviations (V/PDs). A vehicle or pedestrian deviation includes pedestrians, vehicles or other objects interfering with aircraft operations by entering or moving on the runway movement area without authorization from air traffic control. In serious instances, any ground deviation (PD or VPD) can result in a runway incursion. Best practices in preventing ground deviations can be found in the following section under runway incursion avoidance. Read back all runway crossing and/or hold instructions. Review airport layouts as part of preflight planning, before descending to land and while taxiing, as needed. Review NOTAM for information on runway/taxiway closures and construction areas. Request progressive taxi instructions from ATC when unsure of the taxi route. Check for traffic before crossing any runway hold line and before entering a taxiway. Turn on aircraft lights and the rotating beacon or strobe lights while taxing. When landing, clear the active runway as soon as possible, then wait for taxi instructions before further movement. Study and use proper phraseology in order to understand and respond to ground control instructions. Write down complex taxi instructions at unfamiliar airports. Approximately three runway incursions occur each day at towered airports within the United States. The potential that these numbers present for a catastrophic accident is unacceptable. The following are examples of pilot deviations, operational incidents (OI), and vehicle (driver) deviations that may lead to runway incursions. According to FAA data, approximately 65 percent of all runway incursions are caused by pilots. Of the pilot runway incursions, FAA data shows almost half of those incursions are caused by GA pilots. Clear, concise, and effective pilot/controller communication is paramount to safe airport surface operations. You must fully understand and comply with all ATC instructions. It is mandatory to read back all runway “hold short” instructions verbatim. Figure 14-48. Heads-up, eyes outside. Runway confusion is a subset of runway incursions and often results in you unintentionally taking off or landing on a taxiway or wrong runway. Generally, you are unaware of the mistake until after it has occurred. In August 2006, the flight crew of a commercial regional jet was cleared for takeoff on Runway 22 but mistakenly lined up and departed on Runway 26, a much shorter runway. As a result, the aircraft crashed off the end of the runway. Not only can airport complexity contribute to a runway incursion; it can also play a significant role in runway confusion. If you are operating at an unfamiliar airport and need assistance in executing the taxi clearance, do not hesitate to ask ATC for help. Always carry a current airport diagram and trace or highlight your taxi route to the departure runway prior to leaving the ramp. 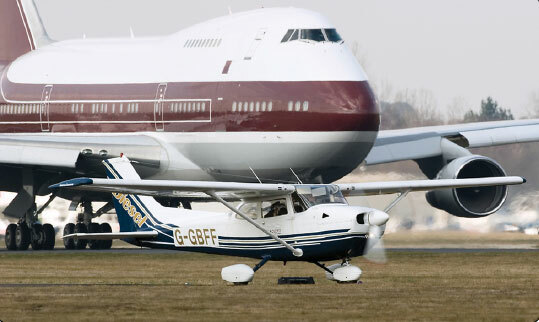 If you are operating from an airport with runway thresholds in close proximity to one another, exercise extreme caution when taxiing onto the runway. Figure 14-49 shows a perfect example of a taxiway leading to multiple runways that may cause confusion. If departing on Runway 36, ensure that you set your aircraft heading “bug” to 360°, and align your aircraft to the runway heading to avoid departing from the wrong runway. Before adding power, make one last instrument scan to ensure the aircraft heading and runway heading are aligned. Under certain circumstances, it may be necessary to use a runway as a taxiway. For example, during airport construction some taxiways may be closed requiring re-routing of traffic onto runways. In other cases, departing traffic may be required to back taxi on the runway in order to utilize the full runway length. Figure 14-49. Confusing runway/runway intersection. Since inattention and confusion often are factors contributing to runway incursion, it is important to remain extremely cautious and maintain situational awareness (SA). When instructed to use a runway as a taxiway, do not become confused and take off on the runway you are using as a taxiway.